We know that any removal takes time and efforts no matter of its size and purpose and therefore we offer to our Crofton Park customers expedient and cheap man and van moving services. If you are relocating domestic or commercial premises in SE4 then we are the most appropriate man with van company to choose. Different sizes to answer any kind of removal – from single items of furniture to full-scale relocations. You can book your man and van for SE4 directly on our website, over the phone or by e-mail. In case you have any questions our helpful customer care representatives are available round the clock to answer them. In addition to our main man and van solutions we also offer reliable junk collection services at quite low fees. Our rubbish lorries age big enough to accommodate any mattresses or bigger pieces of furniture that you need to dispose of. The rates of our rubbish removal options in the area of Crofton Park are very moderate but you can get a further discount by simply booking our man and for any weekday between Monday and Thursday. Moreover, our company is an ardent supp orter of the green idea and we will recycle as much of your junk as possible and dispose of the rest in the most responsible way. We also encourage the idea of donating any furniture or kitchen appliances that are no longer needed. Visit us online to get your free quote today and organize your SE4 house or office removal for the most convenient time and date for you. Our men with van can be booked for a same day service as well. 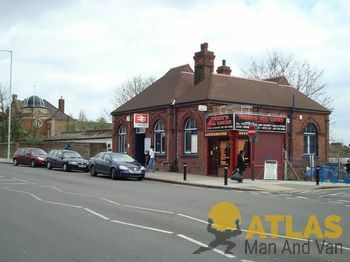 Crofton Park is a mainly residential suburb of London located 5.3 miles (8.5 km) south east of Charing Cross. The area has a well-developed network of rail and bus services, with connections to central London and Kent. Crofton Park boast with several famous buildings with The Brockley Jack pub being one of the oldest emblems of the area and in 1898 it was rebuilt to get a more solid structure of brick and stone. Atlas Man and Van are a reliable and efficient service provider dealing professionally in all types of residential and commercial property removals. We are the movers of choice for households and businesses in Crofton Park SE4 as we always do the job right, and without costing our customers silly money. Crofton Park is a residential suburb and an electoral ward in the south London borough of Lewisham. The area offers good public facilities, parks and nature trails, as well as a number of well-known places of interest, namely St Hilda’s Church – a gothic structure designed by the Arts & Crafts Movement, also Brockley Jack Theatre and Rivoli Ballroom.